The use of ultrasonic arrays has increased dramatically within recent years due to their ability to perform multiple types of inspection and due to the fact that phased arrays allow the immediate production of images of the structure through post-processing of received signals. These arrays offer great potential to the inspection of austenitic steel welds in safety-critical applications, where it is important to be able to detect and size any crack-like defects that may occur during service or may have occurred during welding. This paper outlines the procedure behind the generation of images of simple planar defects within a previously developed weld model. 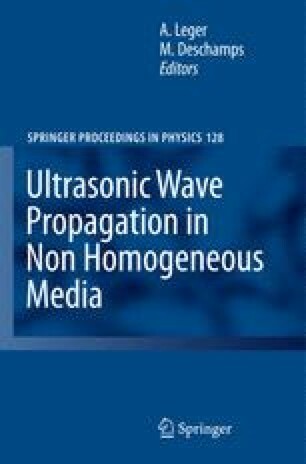 Particular attention will be given to the principles of the modelling of elastic wave propagation through anisotropic and inhomogeneous media. Images of simulated defects within the structure produced from two inspection setups will be shown.